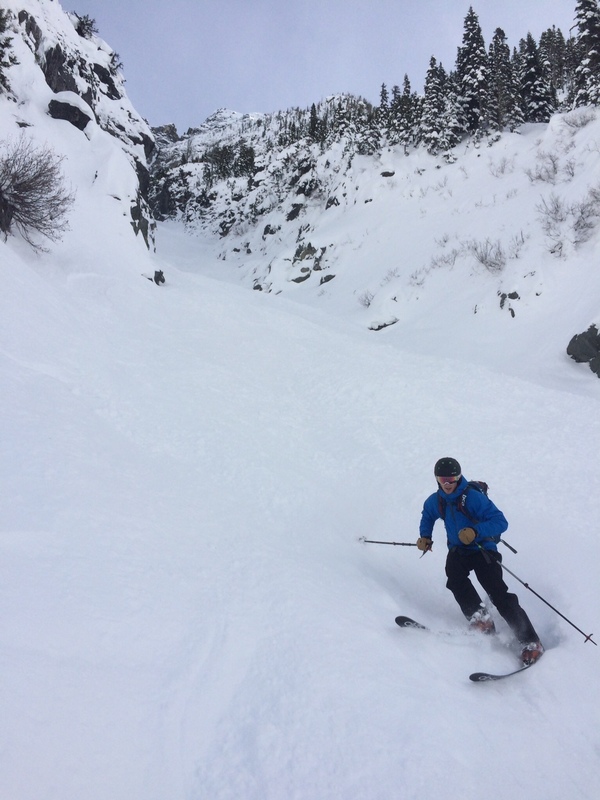 Mike, Kyle and I skiied the Black Hole Couloir from around 6200 feet yesterday. 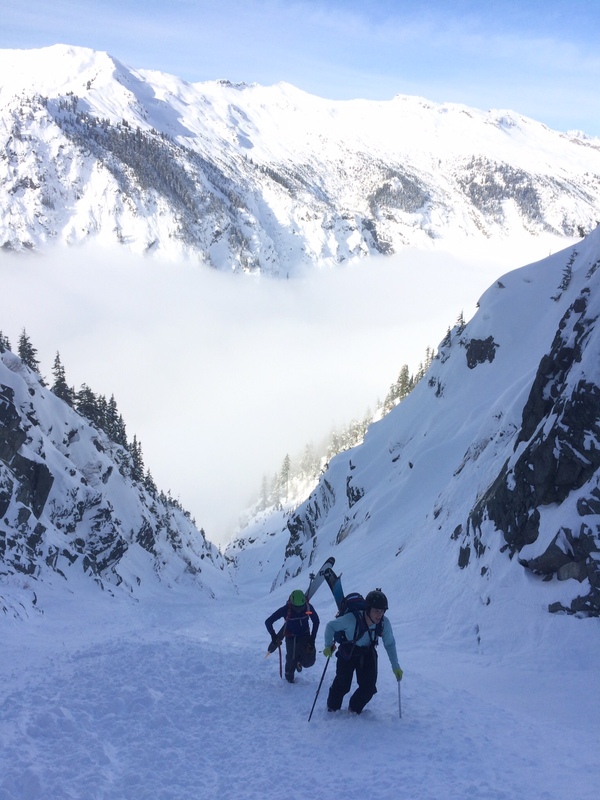 A long week of generally settled weather and predicted bluebird conditions had us hopeful for a big Saturday. 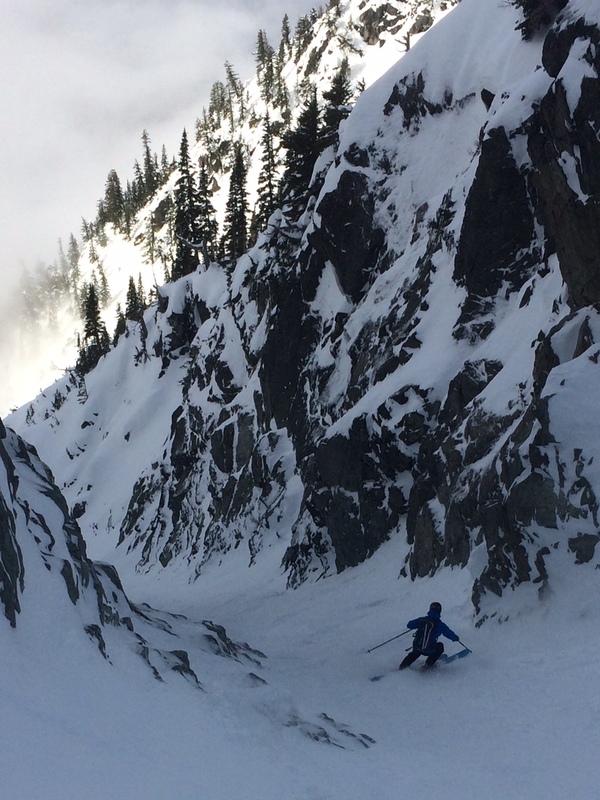 Tours in Stevens Pass earlier in the week yielded great snow on sheltered northerly aspects, further increasing stoke. We left Seattle Friday night, set up ABC at a friends cabin in Merritt, and woke up at 2 am. The reccommended (legal) parking option was Not In, and we took advantage of darkness and Christian hospitality to park and skin past Tall Timber Ranch. Left car @4 am. Hope of nice snow increased as we gained elevation and left a nasty melt-freeze crusty thing behind. Most of the approach features either scenic riverside travel, or ominous slide-path traversing. After several scenic detours, incl. to a water tank, a river island that almost yielded bathing, and a concentric spiral in the skin-track (we've been beaten to the stash! 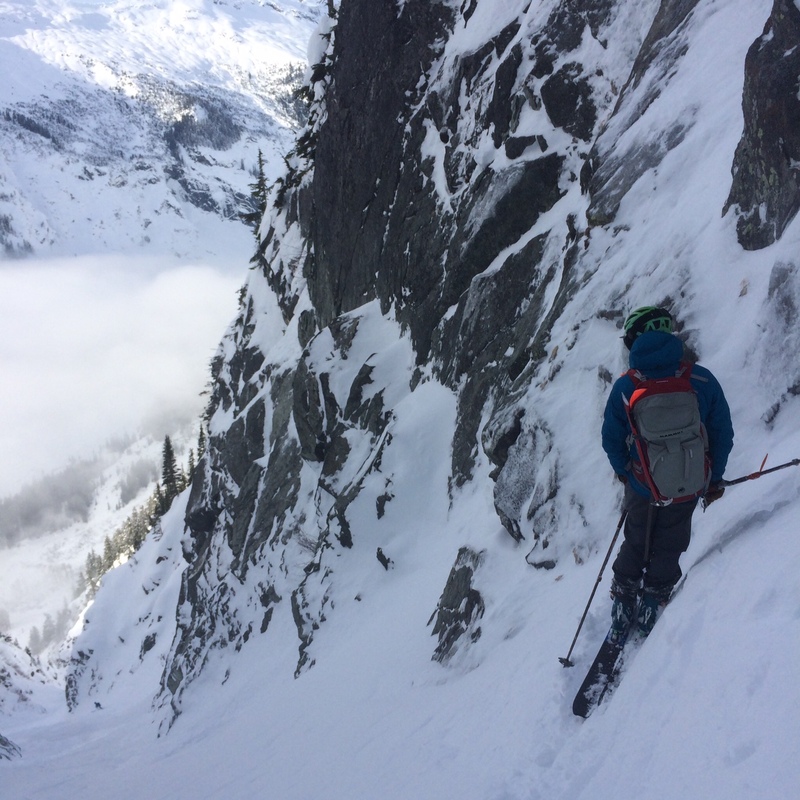 wait...) we found ourselves near the base of the couloir around 930. A low cloud cover made the already-vague entrance totally invisible. Intent staring at grainy photos and more thrashing around had us transitioning for the boot @10 am. 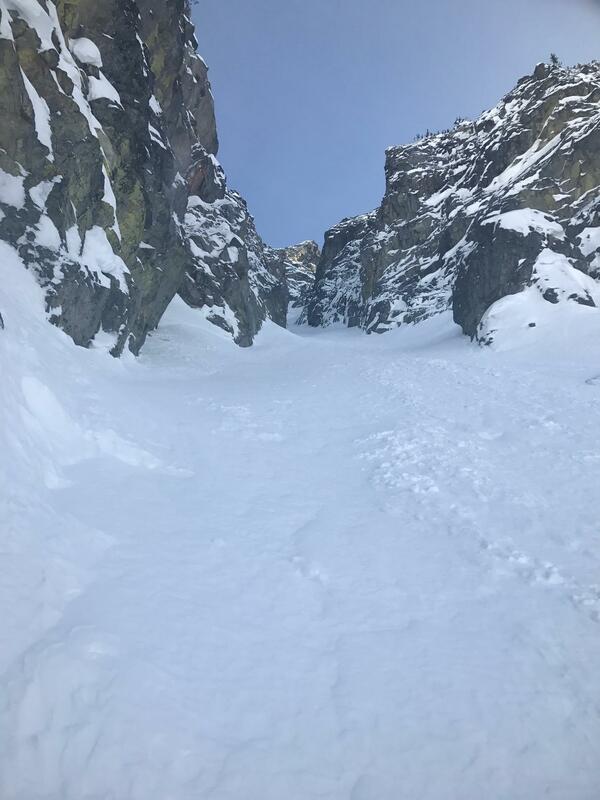 The base of the couloir was far less filled in than other tr's, with the exit cliffing out dramatically. 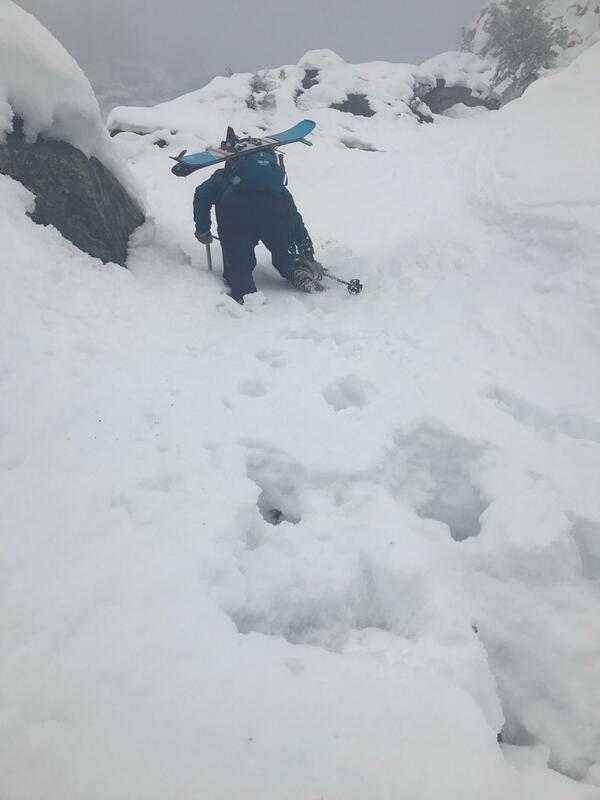 We wallowed up a horrendous boulder/snow zone for 200 vert and then traversed into the distressingly firm snow of The Line. It quickly became clear that the bull had beaten us to the china shop. We booted a mixture of rubble, ice-hard bed surface, wind buff, and general mank. 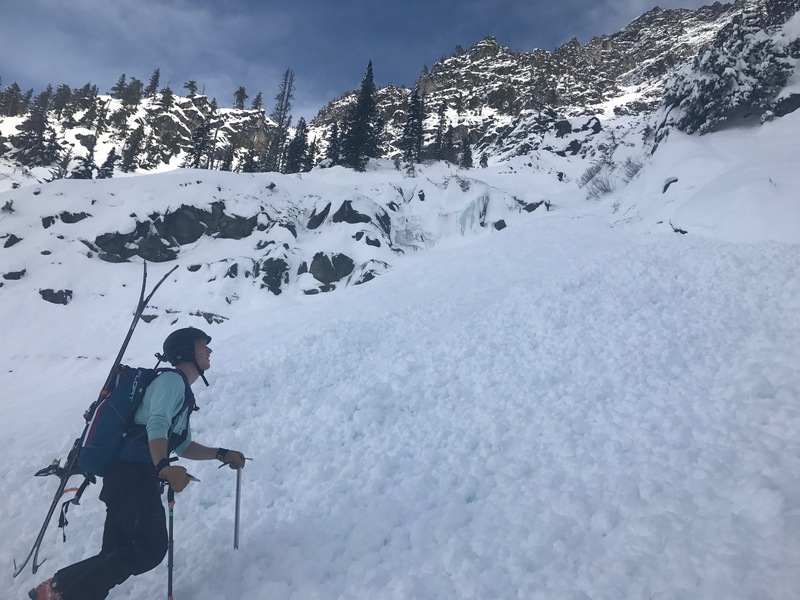 The rubble factor decreased slightly as we approached the open slope in the middle of the couloir. However, increasing winds started to pour spindrift into the upper choke. We could see the remains of several old crowns along the cliffs, and the wind slabs began to deepen. 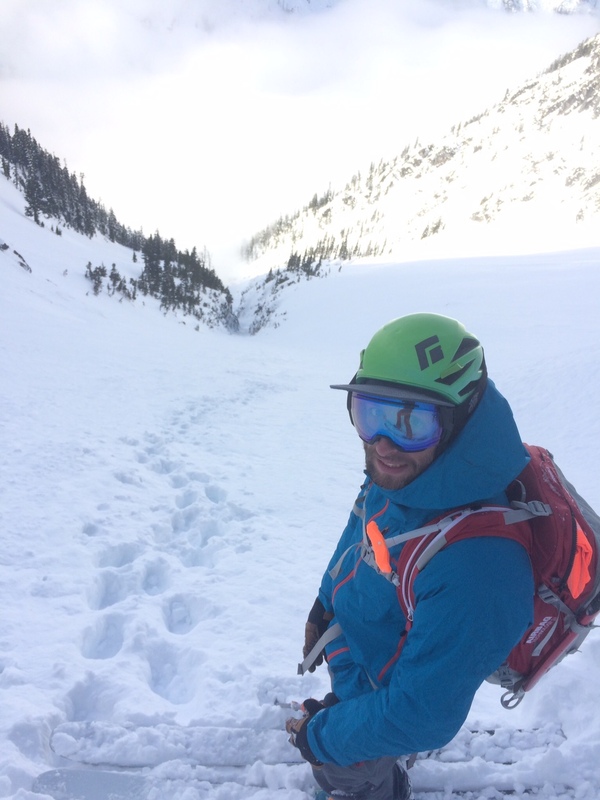 With mounting uncertainty about when, where, and how much snow had been deposited into the couloir secondary to wind effects, we regrouped to snack and come to terms with bailing. 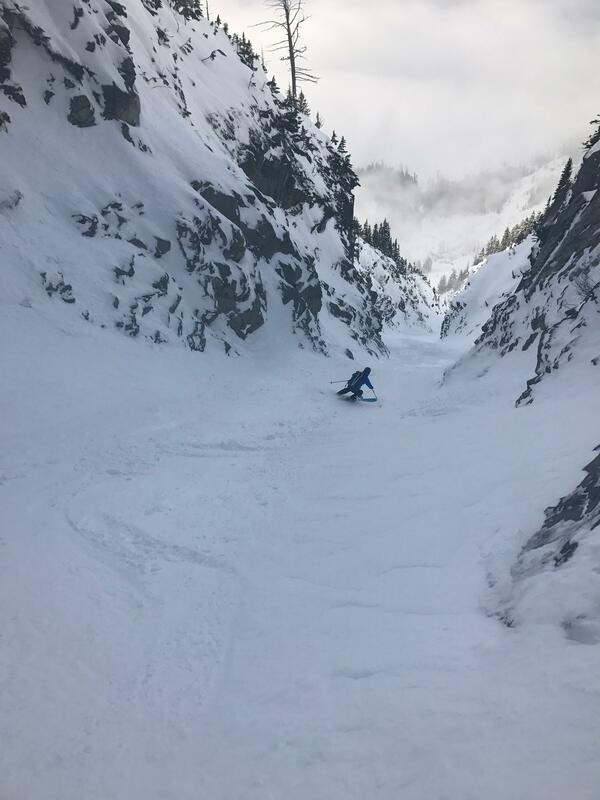 The ski down required focus, but was surprisingly rewarding. Views were stunning. Deproach featured general zombification, "shortcuts," retracing our spiral, and finally, thank God, burgers. This tour is in a guidebook, if you'd like to go. Lots of wildlife in the valley, incl. some strange "snow snake" tracks. Likely beaver, possibly undiscovered species... pretty amazing to spend a Saturday out in WA with the valley to ourselves. No trip to the black hole is complete without them. Also, there are gravitational forces around the black hole that will cause one to be unable to set a straight skinner. Loops and figure eights are common. Thanks for the report! My favorite line. 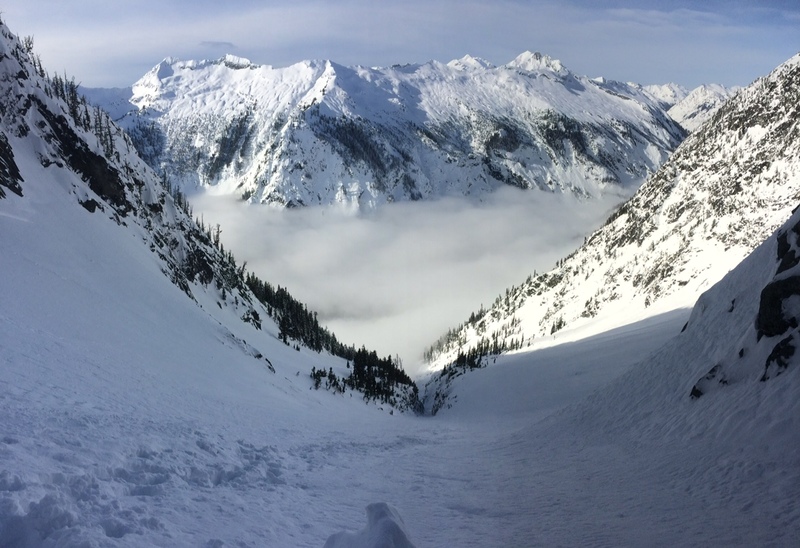 Been wondering what the snow pack was like out that way. Sounds thin. 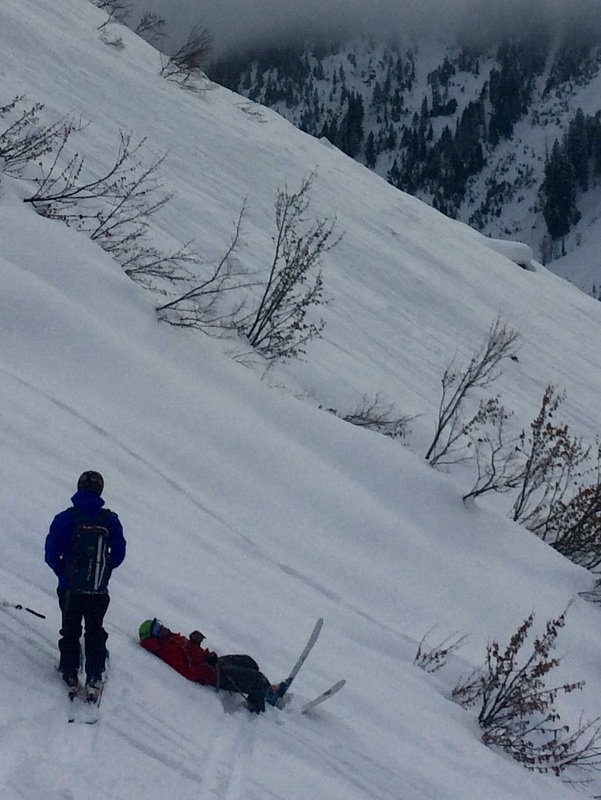 In a few trips, I think the most enjoyable way was to ski in in the afternoon, camp at the base, climb early. Less dark time meandering, and sleep deprivation. Thanks for the report! 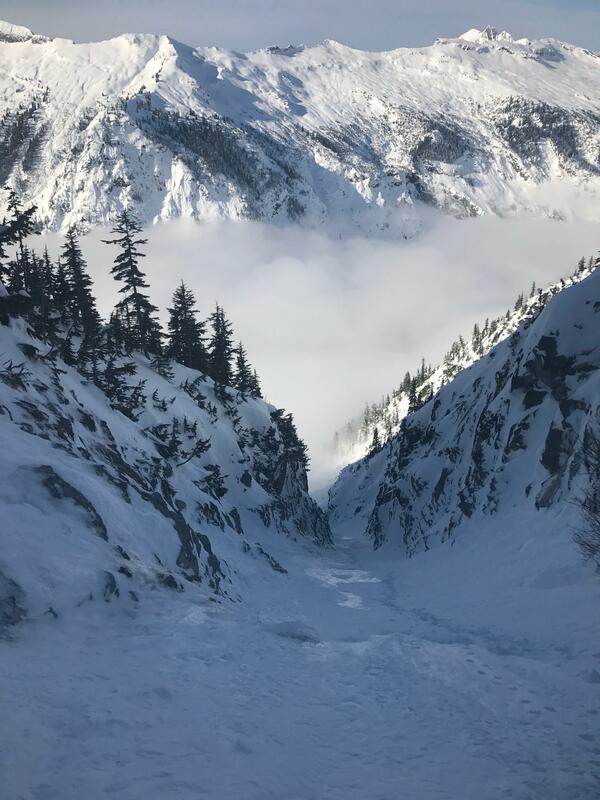 My favorite line.� Been wondering what the snow pack was like out that way. Sounds thin. 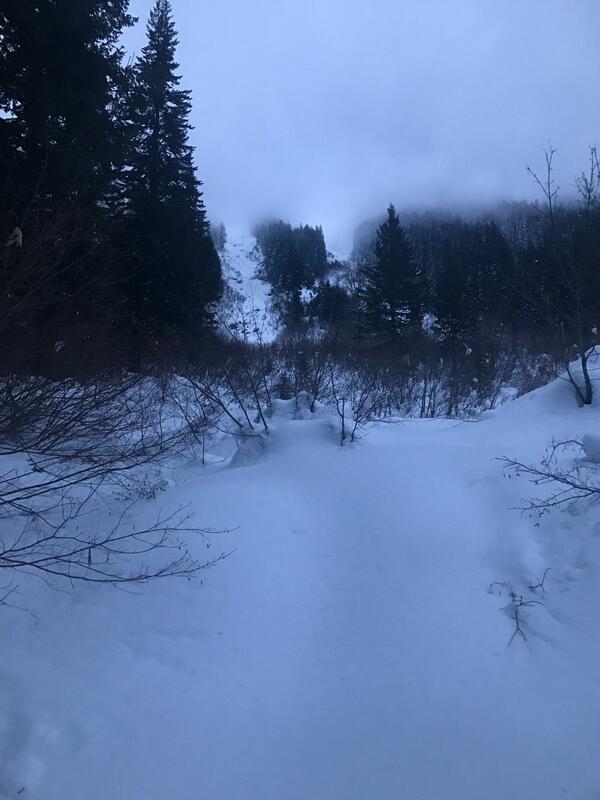 In a few trips, I think the most enjoyable way was to ski in in the afternoon, camp at the base, climb early.� Less dark time meandering, and sleep deprivation. River otters is a good guess. Funny, Kyle did hallucinate several times, although the rest of us were spared. Strange gravity abounds back in there. A two day trip would be far more pleasant. I don't like camping, and I'd rather be faster and lighter, but it would lower the suffering. We were 14.5 hours car to car and that's without the last hour plus to the top. Cool. From the perspective you guys still got a pretty goodly-sized run! yeah... what's going on in that last photo?